It’s not always easy to motivate yourself to get fit and stay fit. 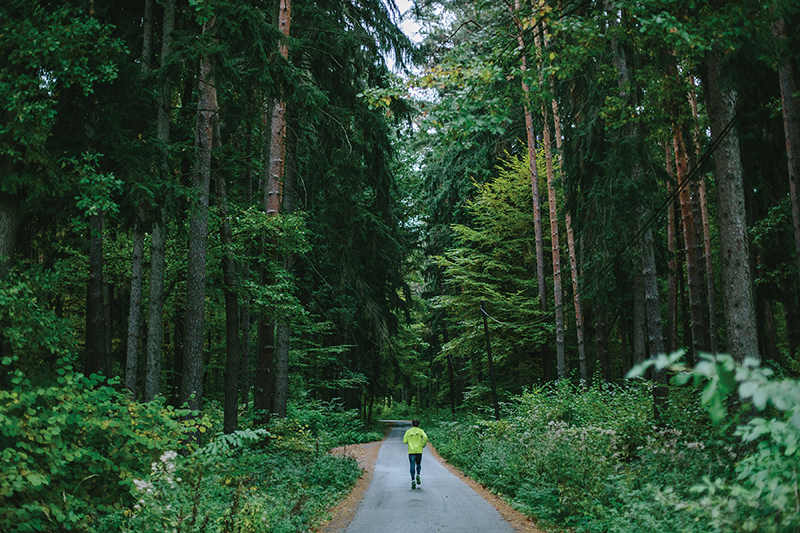 But if you’re looking to start jogging or add a little beauty to your running routine, Louisiana has a number of parks and paths that offer joggers plenty of eye candy to keep their runs from getting dull. The following four parks are just a small sample of what the Pelican State has to offer runners. There is a lot to like about the smooth 1.8-mile jogging path under a canopy of oak trees in New Orleans’ Audubon Park. Runners can enjoy the views of the park and of the streetcar coming up historic St. Charles Avenue. If you want to extend your run, you can make a short jog past the Audubon Zoo to The Fly along the Mississippi River. Last but not least, there are numerous drinking fountains that also have a shower nozzle to cool your whole body off during New Orleans’ oppressively hot summer months. If you’re looking for a bigger challenge, this 4-mile trail near Brandon offers joggers a difficult path with sharp elevation changes (a relative rarity in Louisiana). There is plenty of wildlife to be seen, especially birds. A run through Tunica Hills is often accompanied by the soundtrack of birds singing. Near Baton Rouge, this trail also offers some elevation changes for runners seeking a higher degree of difficulty. There is a little beach near the trail as an added bonus. A few words of caution: bring insect repellent because some horseflies might join you on your run and mind the cyclists (this is also a popular trail for mountain bikers). There are a few trails to choose from in the Red River National Wildlife Refuge in Bossier City. Joggers might have to deal with uneven paths, but they will be rewarded with views of Lake Caroline and creatures like the colorful male wood duck and maybe even a few alligators. When you’re running or walking, the right shoes are critical. Make sure your shoes fit properly and that you have the appropriate amount of arch support. This will save you from potentially nagging injuries down the road. If you are exercising during the day, be sure to wear sunscreen. Even if you do not get sunburned, sun damage from repeated exposure can add up and lead to an increased risk of skin cancer. Also, consider using insect repellent when out on nature trails. Lastly, if you are cycling, wear a helmet. Everything is more fun if you have a partner. A running or biking buddy can keep you from getting bored with your workouts. They can challenge you to do better and force you to get out of the house on days when you just feel like staying in and watching your favorite shows.